What is Tagit Linen Count (RFID USER)? Laundry is the most important section of the hospitality industry and managing the laundry activity is more difficult especially if you are doing it with an old-school method. Counting and sorting each linen with pen and ledger is not the efficient way. 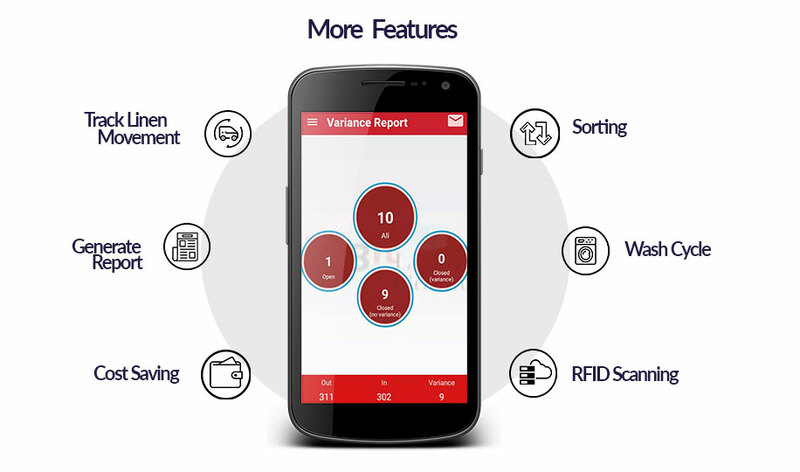 Tagit comes with an app which is designed & developed to streamline laundry operation in hospitality sector by tracking the IN and Out linen movement, sorting, measuring linen wash cycle and measure performance. 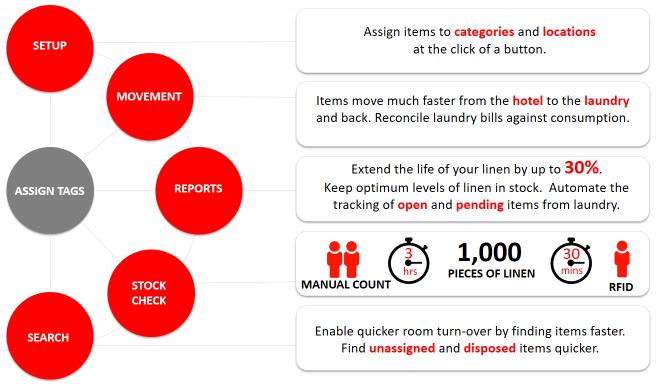 With RFID the laundry operation & management becomes easier than ever. With RFID technology & Tagit Linen Count, the laundry sector will be saving time, money & effort while carrying the operation. Why our customers using RFID Laundry Solution?